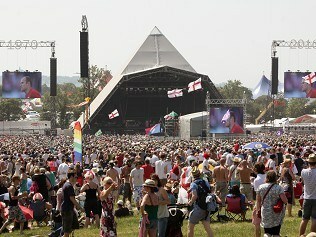 Glastonbury has been named the UK's best major festival at an annual awards ceremony. The Somerset event - which this year featured headline slots from U2, Coldplay and Beyonce - triumphed at the UK Festival Awards. Bestival, created by DJ Rob Da Bank, was named the fan's favourite, following this year's line-up which included Bjork, The Cure and PJ Harvey. Ed Sheeran was named best breakthrough artist for his many outdoor appearances, beating acts such as Jessie J and The Vaccines. Paolo Nutini was awarded the title headline performance of the year. The Secret Garden Party took the best medium-sized festival prize, while End Of The Road was named best small festival. Sonisphere - staged at Knebworth House - landed the best line-up prize following appearances from Metallica, Slayer, Anthrax and Megadeth. Derbyshire's Y-Not Festival was a double winner, taking the prize for best "grass roots" festival and best toilets. The awards event was staged at London's Roundhouse on Tuesday night.